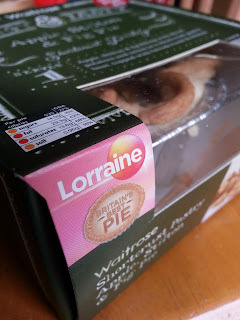 No, this isn't meant to be Britain's best pie review - rather, a review of 'Britain's Best Pie', a very bold claim carried by Waitrose's Shortcrust Pastry Apple, Stilton & Fig Pie. The pie was bestowed the distinction of Britain's Best Pie by ITV show Lorraine, as viewers were invited to submit their own homemade pie recipes for judging and the winning recipe would appear on the shelves of Waitrose supermarkets. Lorraine says "This is Britain's Best Pie"
Immediately, I met with some concern over calling it "Britain's Best Pie". Looking at the competition entry rules, it seems like this is Britain's Best Pie as long as it comprises short crust pastry, is commercially viable, has a story behind it, and doesn't contain fish, shellfish, nuts or sesame. That means that classics like Pieminister's Pietanic fish pie couldn't enter, and all of our puff pastry favourites would instantly be rejected. Furthermore, even if your pie submission fulfilled all of the entry criteria, it still won't have won a British Pie Award - and considering entries were just short of 1,000 pies this year, that's nearly 1,000 pies that Britain's Best Pie won't have competed against. How can you call it Britain's Best Pie when the criteria excludes ingredients that could legitimately be included in a pie, and the pie hasn't even entered one of the country's foremost pie competitions? Still, I'm going to put these issues behind me and crack on with the pie. Here it is, out of the box. Errrr....is that a crumble topping? Wait, what's this?! Britain's Best Pie...is...is...is not even a pie?! What on Earth? If anyone was going to know what makes a pie the best pie in Britain, it would be the British Pie Awards - and if I could just kindly refer you to their competition entry rules page, you'll note that a pie must comply with 'a filling totally and wholly encased in pastry'. 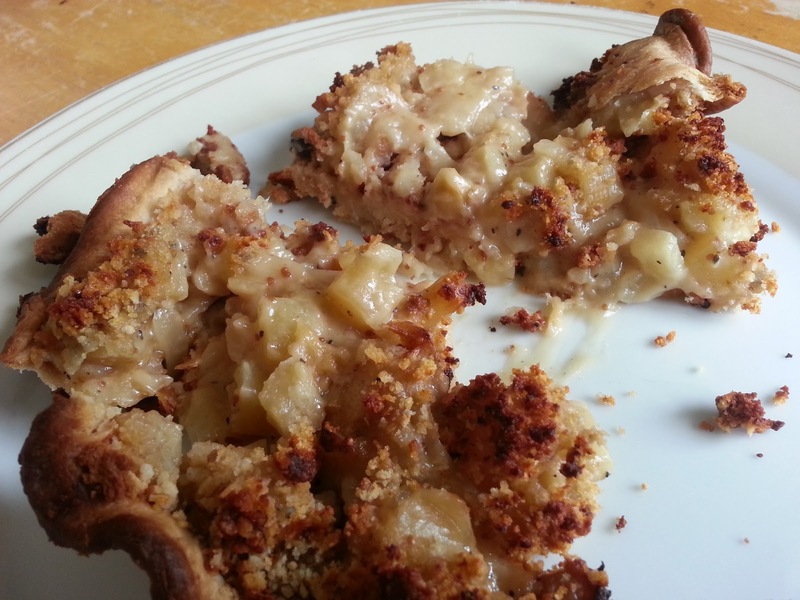 This pie's all-important pastry lid seems to have been replaced by a crumble topping. Calling yourself "Britain's Best Pie" and then not actually being a pie is a very audacious move indeed. Yes, disaster has struck. The foil has become stuck to the pastry, so as I try to peel it away the pastry simply rips. We have a case of pastry failure. I can't turn the pie upside down to help remove it from the foil because the crumble topping will fall away. I wouldn't consider myself to be particularly clumsy, and I have past experience in removing pies easily from their wrappers, but this pie has me utterly foiled. It seems that the pastry is too thin and sticky, and won't glide away from the foil. Once I prise the pie away from it's wrapper, I am left with terrible mess. 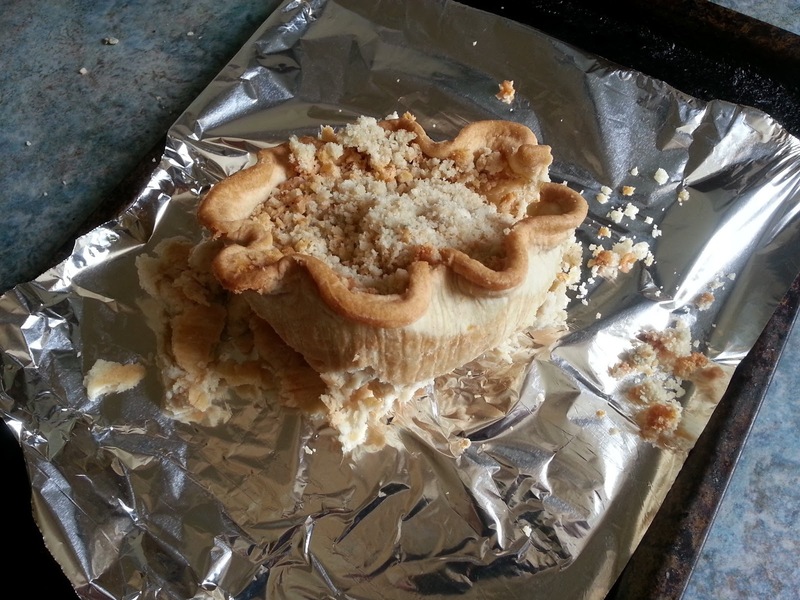 The pastry is too thin for the pie to properly support itself, and with the structural integrity of the casing ruined, Britain's Best Pie collapses under its own wait. Not a good look, and won't score highly on condition. 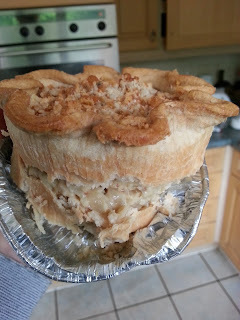 Even if the pie hadn't ripped, I doubt the pie could have held itself together. The pastry sides seem very weak to me. I put the pie in the oven for the suggested time and stare out the window in deep contemplation about the World. My emotions are bouncing off the walls. Is this really Britain's Best Pie? What is a pie, anyway? What am I? What is the definition of a soul? Is that grass really green? This is Britain's Best Pie. Just £2.99 in all good Waitrose stores. I remove Britain's Best Pie from the oven and she's not looking too pretty. Having to scrape the remnant of your pie from the baking tray is never going to score positively for any pie, let alone one acting under the guise of Britain's Best Pie. Some of the pastry scraps have burnt a little, but the rest of the pie looks in good order. Here at Pierate it's become a tradition to offer a cross-sectional view of the pie. Now, we evidently don't really need such a photo in this instance, but here's one anyway. 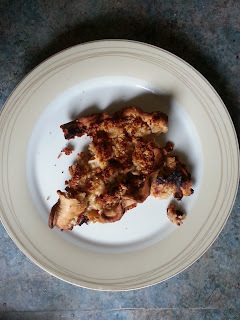 As much as this pie has fallen apart and looks terrible (and isn't even a true pie), it still does look pretty tasty. You can see individual bits of fig and apple in there, and it looks look quite fresh and light. On tasting the pie, it is actually very nice. It's tangy, with some nice crunch juxtaposed with the softness of the fruit and creaminess of the cheese. I can now see why this pie did so well in the competition, for it does actually taste very nice indeed. It's sweet, yet is a savoury delight. It's creamy and cheesy, but not at all sickening (like some other cheese pies we've had). I could certainly eat more of this pie, and it's a shame that I lost quite a bit of it in the cooking process.Overall, the pie tastes great with delicious ingredients, but unless I've been particularly clumsy with this pie (which I doubt), Waitrose really really need to do something about this pastry issue. To have a pie rip and collapse like that is clearly very undesirable! So was it Britain's Best Pie? No. Not by long shot. It's not even a pie. Waitrose Apple, Stilton & Fig Pie.